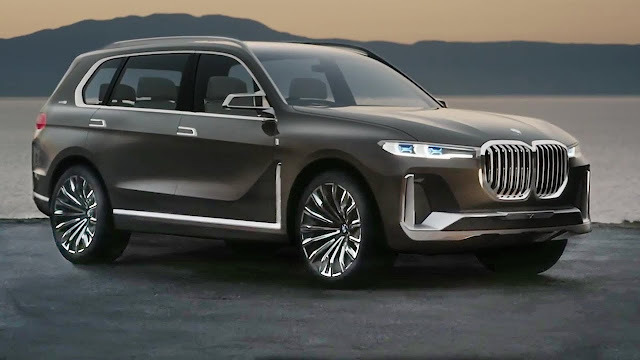 After few years of planning, BMW started pre-production for the flagship SUV X7 model. According to BMW, current plans put the production debut of the X7 in late 2018, with showroom arrival shortly thereafter. The main competitors for this car will be : Cadillac Escalade, Lincoln Navigator, Mercedes-Benz GLS series and Infiniti QX80. First of all, take note of the all panoramic sunroof, humongous kidney grille, front lamp plan, and profile styling. 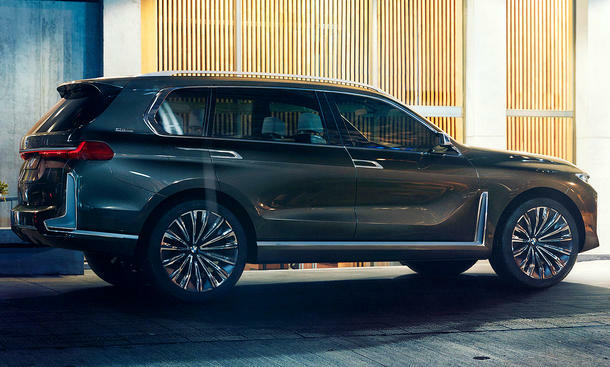 And keeping in mind that we didn't much like the idea's extravagant accessories, this rendition appears to have resolved the crimps and eccentricities, leaving a smooth and cleaned generation emphasis that fits pleasantly over the BMW X5 and X6.